Pasta! All I think of when I hear Pasta is the convenience, variety, taste and oh, health! The various interesting shapes look very appealing. 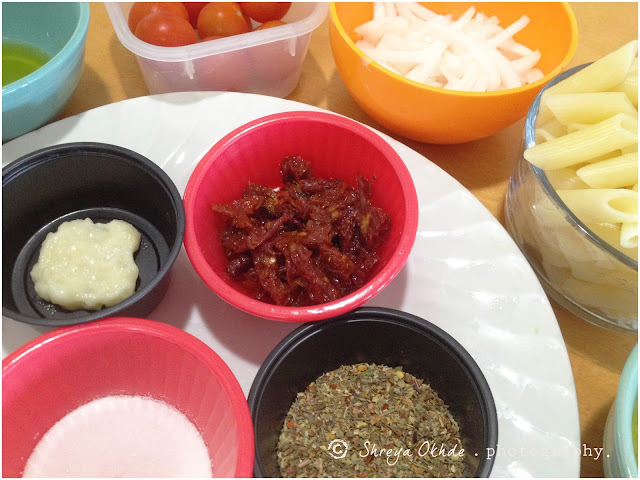 A simple sauce can be made with ingredients which are available in most households. Also I remember reading recently that Pasta has topped a global survey of the world's favorite foods! In India, though Pasta is becoming popular, I know many people for whom Pasta= macaroni + cheese + white sauce. And this is what is actually served at most of the eating outlets. It is so heartwarming to know Del Monte is taking an initiative to spread awareness about Pasta varieties and ease of cooking thorugh such innovative contests. This is one of my very very original recipes, which I have penned down for the Del Monte: Blog your way to Italy contest powered by IndiBlogger. 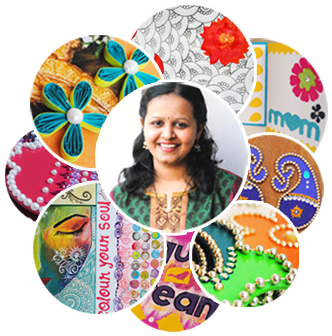 I have chosen this recipe for the contest keeping in mind the expanding popularity of dry fruits throughout the globe. Dry Fruits have endless benefits, are a great source of energy, fiber, vitamins, minerals. 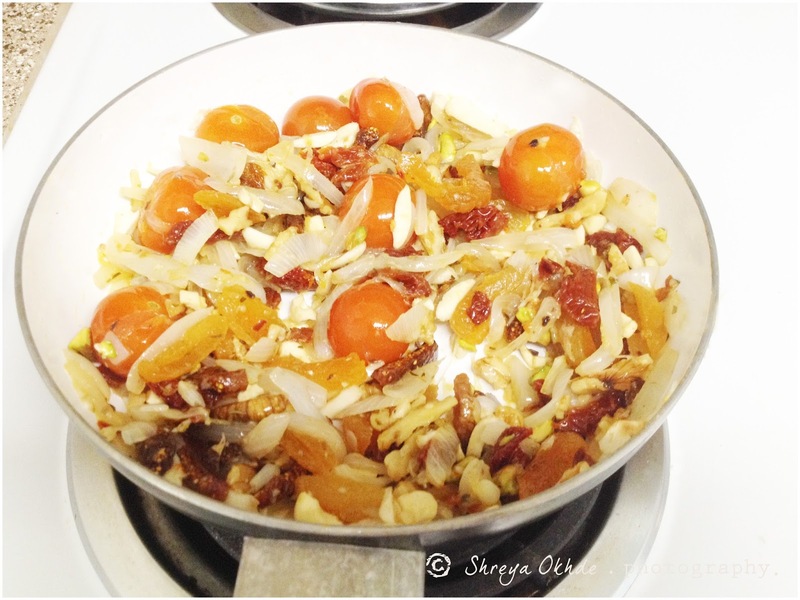 The dry fruits I used in the recipe are without any added sweeteners. I was not one of the lucky 250 to receive a packet from Del Monte. I bought Del Monte Penne Regate Pasta from a nearby superstore. It tastes good and has a long shelf life. 1. Soak 1/2 cup almonds for 4 hours and later peel them. 2. 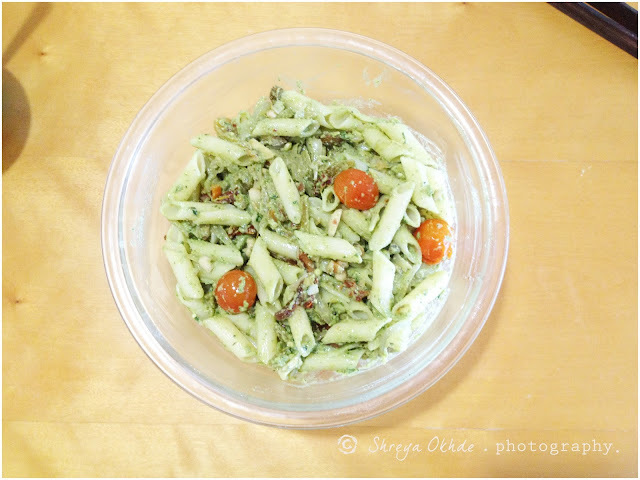 Combine the basil leaves, almonds, crushed garlic and black pepper, parmesan cheese, olive oil and a salt and blend in a mixer to a smooth sauce. 1. Heat the pan and add olive oil. 2. 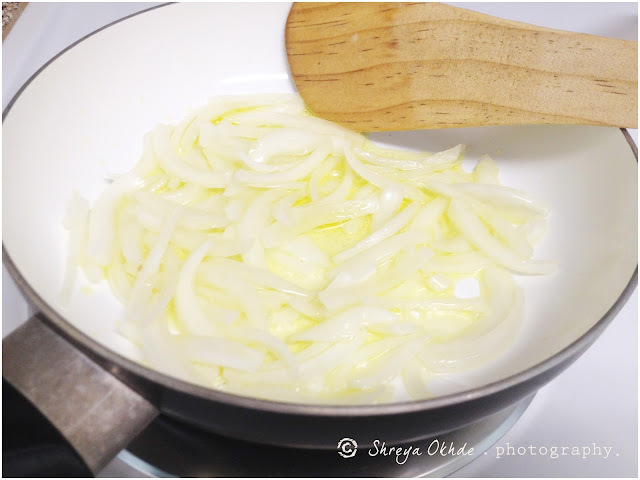 Add onion and saute it for 3-4 minutes. 3. Then add crushed garlic, cherry tomatoes and italian mixed herbs. Saute well for another 2 minutes. 4. Next add sun dried tomatoes and dry fruits. Saute for about 3-4 minutes. Keep aside. 2. 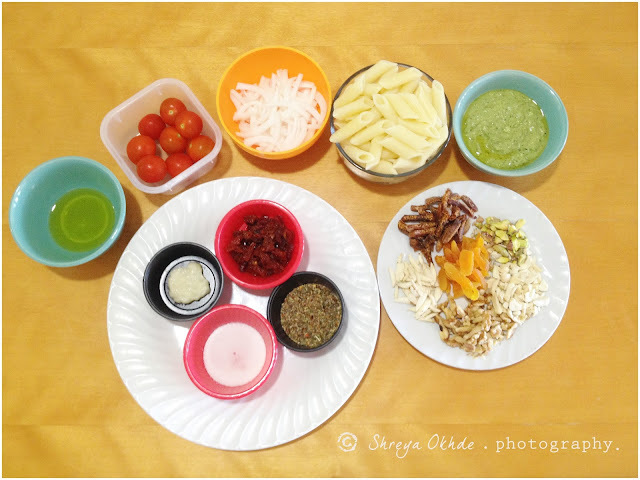 Add dry fruits mixture and pesto sauce. 3. 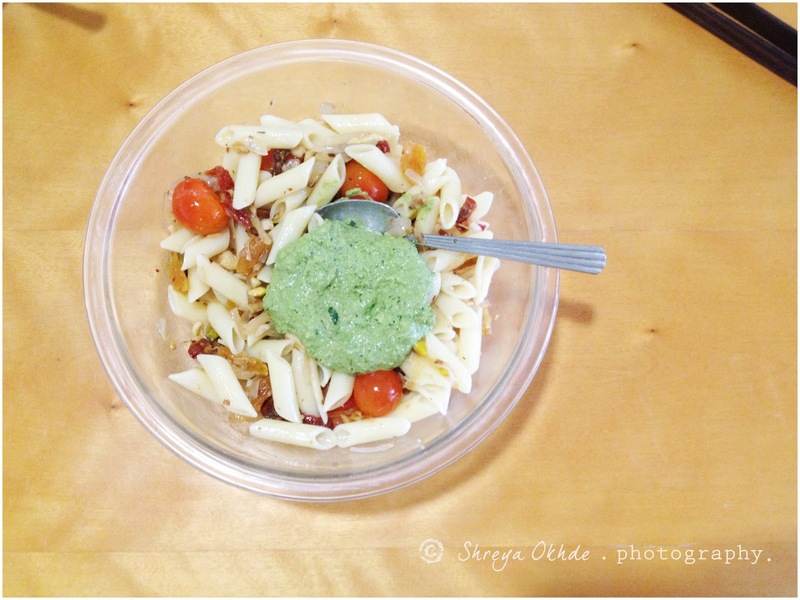 Toss gently till the mixture and pesto combines well pasta. 4. Serve hot garnished with a tbsp of parmesan cheese. 1. 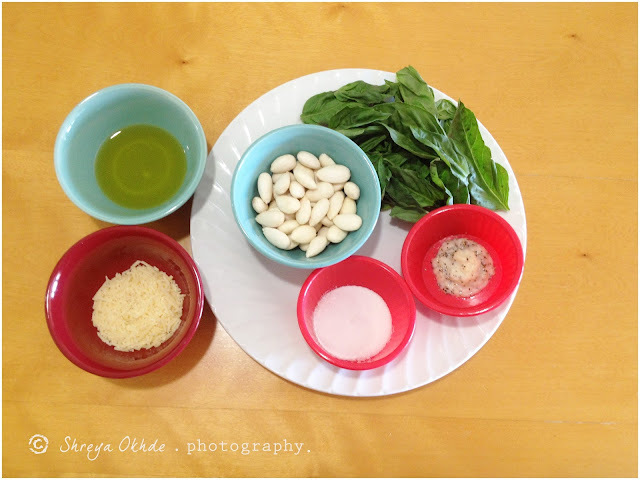 Ingredients for Basil Almond Pesto. Blend all these in a mixer to a smooth sauce. 2. Ingredients for dry fruits mixture. 3. 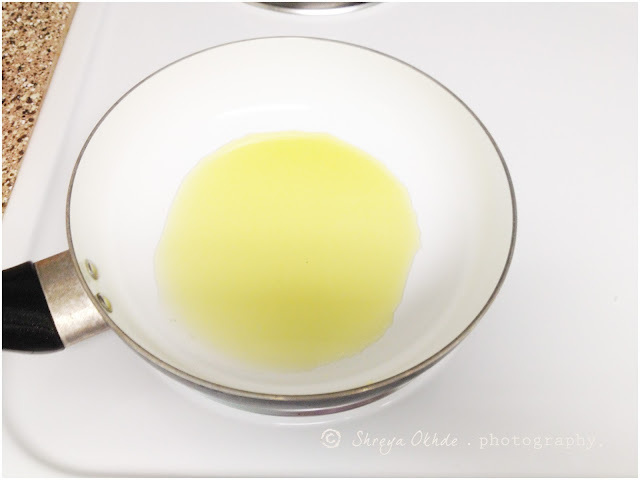 Heat the pan and add olive oil. 4. 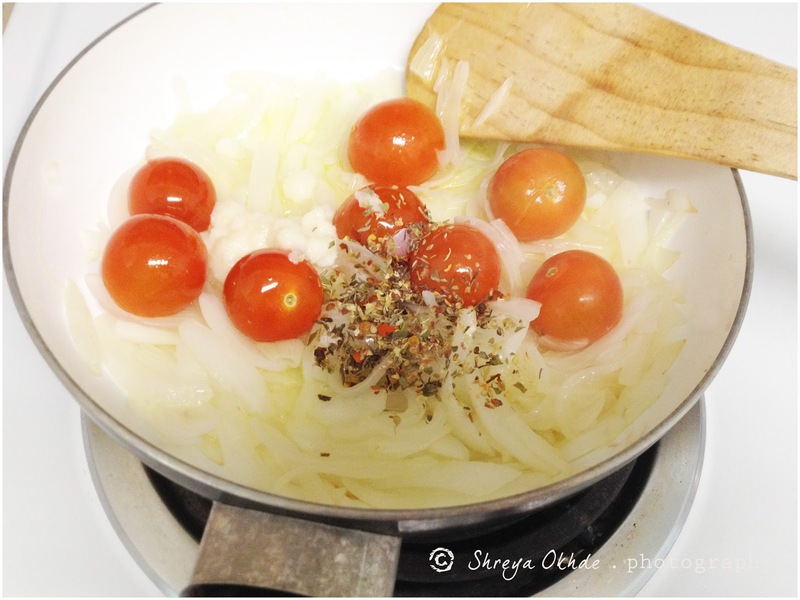 Add onion and saute it for 3-4 minutes. 5. Then add crushed garlic, cherry tomatoes, italian mixed herbs and a pinch of salt. Saute well for another 2 minutes. 6. Next add sun dried tomatoes and dry fruits. Saute for about 3-4 minutes. Keep aside. 7. In a large bowl, take 3 cups of cooked Del Monte Penne Pasta ( I added a tsp of salt to pasta while cooking). 8. 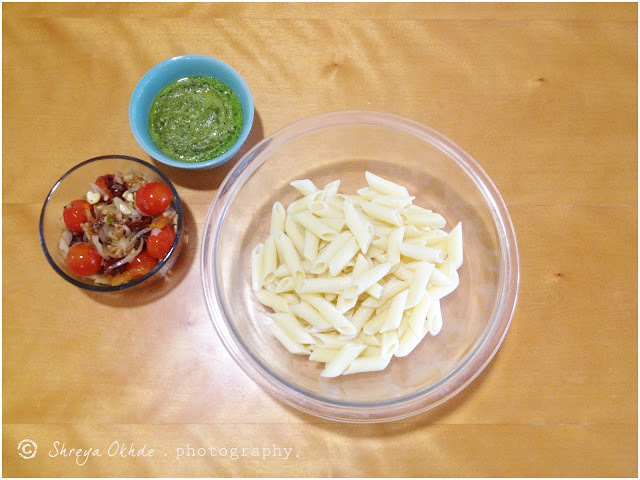 Add dry fruits mixture and pesto sauce. 9. Toss gently till the mixture and pesto combines well pasta. 10. Serve hot garnished with a tbsp of parmesan cheese. 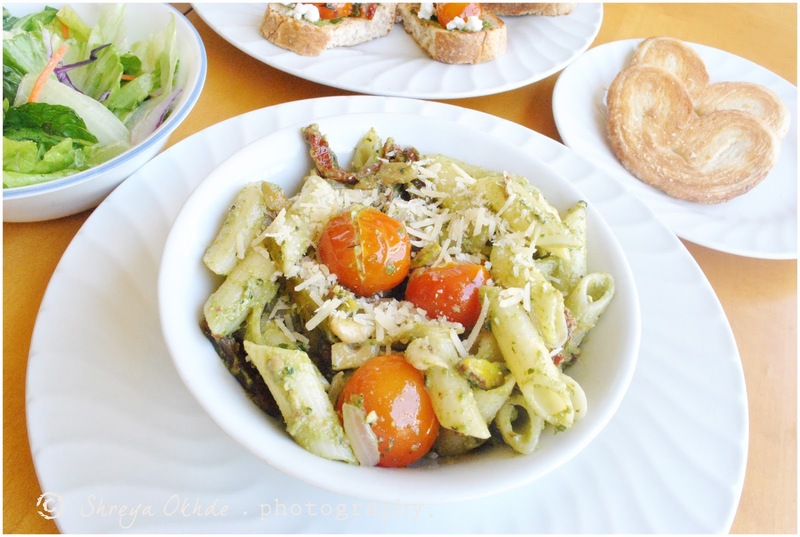 I served the pasta along with green salad and bruschettas. I cooked this last week as my husband completed 10 successful years in an IT firm, and so we had to celebrate it! 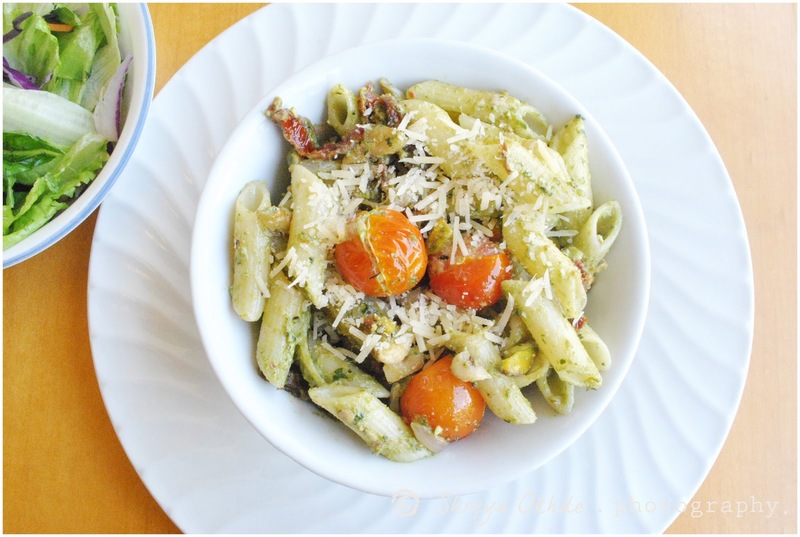 Hope you will have great time trying out the recipe and also hope that you will enjoy it. 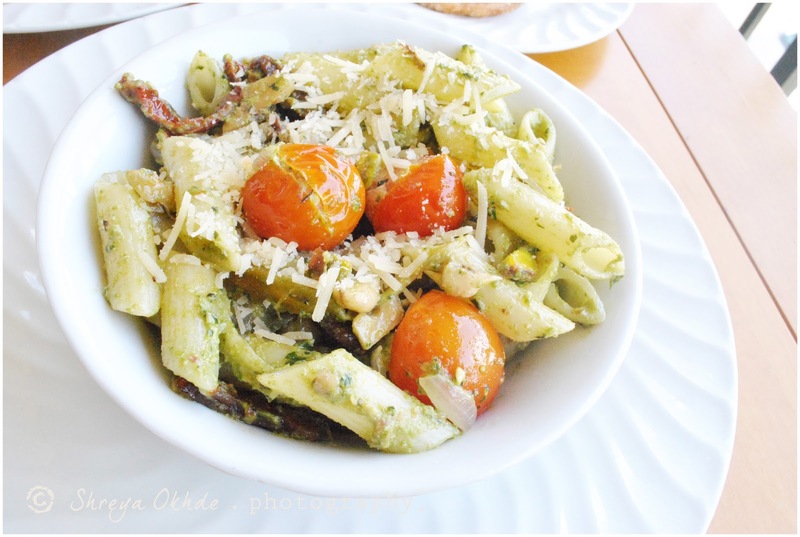 Do visit http://www.facebook.com/DelMonteIndia for more interesting Pasta recipes. Yes, It's looks really beautiful. I love it.